I can't believe it's now November it feels like June was only the other week and I was taking exams. But anyway October was a fun months and I have been loving quite a few things last months so I thought I would share them. I'll start with the make-up I've been loving. 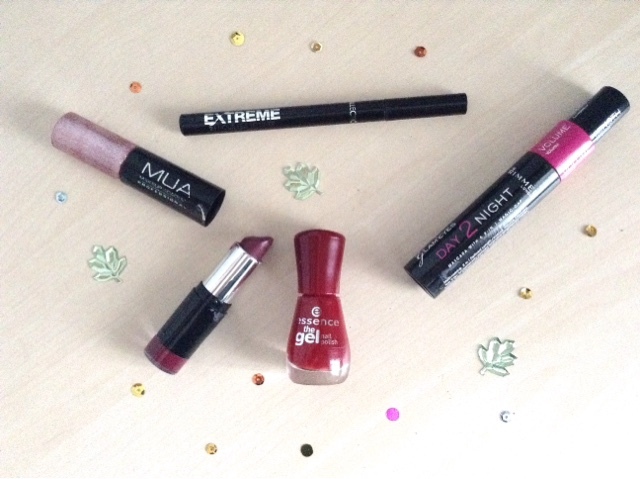 Since Autumn has finally come around, and if I haven't mentioned it before Autumn is my favourite season, so I've been able to bring out those berry lipsticks and dark nail polishes. // Collection Extreme 24 hour felt eye liner. I've written about this eye liner a lot in previous make-up look posts, and I'm still loving it. I have a very shaky hand so liquid eye liner doesn't work and I find pencil creates a too thick wing so I've found felt works better. It may feel like I'm drawing on my eye with a felt-tip pen but I can create wings pretty well with it. I haven't really branched out with any other felt liners yet as I only really started wearing eyeliner last year but if there are any you like suggest them in the comment ^_^ . // Rimmel Day2Night mascara. Though this isn't a new favourite, I've put it in this post as even when I haven't been doing a full face of make-up I've been leaning towards this product due to the volume it gives my lashes and that I don't look so tired all the time (I don't know why I sleep so much). Anyway this mascara is running out so if you recommend any please comment them. // MUA Lip Boom 'Its A Situation'. I've had this lipstick for a good while now but have only been reaching to it recently, not only because it's a perfect shade for Autumn but at college I can actually wear lipstick. I'm guessing many 1st year college bloggers agree with me here but being able to wear lipstick actually adds so much to your everyday make-up look. So though some days I don't go for a complete bold berry lip, most days I dab it on to give a least some colour to my lips which are so pale, especially in these colder months. // Essence nail polish. I'm sure I've mentioned this nail varnish in other posts but it has definitely been my favourite nail colour for the last month and probably will be the same for November. It's a dark red colour but not so dark that you feel like a vampire hehe. Since I got it last months I have pretty much worn it constantly, which kind of shows my love for it. 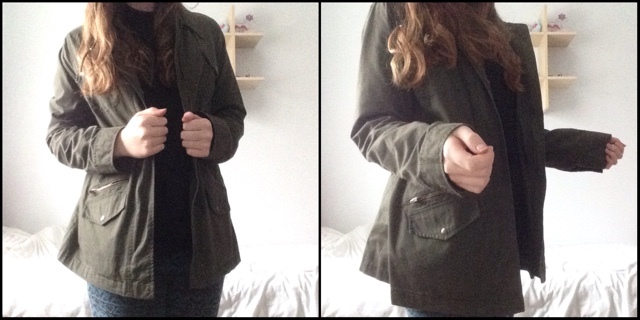 Apart from make-up the last month I've also be loving a couple of Autumnal pieces from my closest. Along with the green jacket I've also been loving this pastel tartan scarf that I got from Primark at the beginning of the year. Though I haven't worn it out much yet as I've been finding walking to college has been kind of warm, I've been wearing it in the house when the heating hasn't been on and I've been freezing. I end up wrapped up in layers as the sun hardly reaches my window for the majority of the day due the houses and trees that block it's path. Anyway I also love the colours of this scarf! Though I do love the berry toned colours for Autumn, there is something about a bit of pastel that I just can't resist. Day6 - Congratulations. This song isn't particularly new, though it was definitely this year, but I have been loving it nonetheless. Day6 are one of my favourite bands and I love all their songs! However this is the only one with a music video and I have to say I tend to listen to songs more if they have a mv. Anyway this song is super catchy, and though it is in Korean the catchy part does have some English words. I've been listening to it non-stop especially when I've been doing maths homestudy. Ailee - Mind your own business. Ailee had her comeback in October after what felt like decades when it was probably only a year and a half or something. I mentioned Ailee in my music favourites post, which you can find here, that I did back in September. 'Mind your own business' is about getting back at your partner after a break up. I always love Ailee's songs and this one is not exception. Demi Lovato - Confident. To be honest I haven't listened to any of Demi's songs in a long time, but in October this came up on my recommended on YouTube so I gave it a listen and have to say loved it! I always have loved Demi's songs and this one is just another one to add to my music playlist. It's a powerful song and I always feel strong after listening to it. Block B - Jackpot. This song is actually from a couple of years back, but I only discovered it in October due to going to Korean society at college and they were playing it there. This song is super fun and it always makes me want to dance. The music video is also quite unique as it's set at a fairground, but if you don't like clowns I suggest not watching the mv and instead just listen to the song on spotify, it made me so happy when I found it on there, it's hard to find kpop songs on there. From Block B I also love their song 'Her' which has a pretty fun dance to it but between the two I felt like 'Jackpot' was a slightly better song, in my opinion. 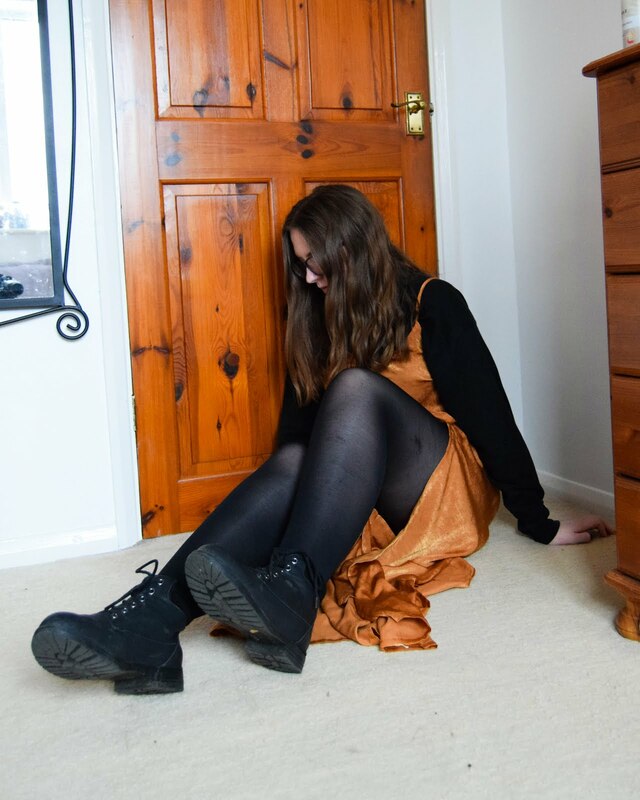 There has been so many more songs I've been listening to in October but those were in like the last few days so I might put them into my November Favourites, if you would like that post. Finally, though I don't particularly watch much TV, I have been loving Doctor Who, since it has been back on. I've been watching Doctor Who since David Tennant was the Doctor and I don't think I have ever missed an episode. So that's all my favourites from October. October felt like it went to fast for my liking, I had only been at college for a few weeks and we were already at half-term, which is so odd thinking about how much work we got through. But now it's November everyone's starting to talk about Christmas, and though it's a little early for me, it does put me in a good mood. 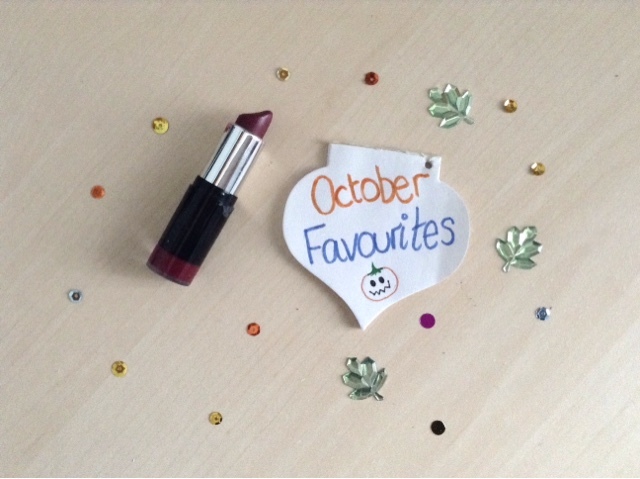 Over to you, what have you been loving during October? Listened to any new music? And what are your plans for November? Any posts you would like to see?